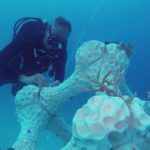 Excavation work carried out by LUX South Ari Atoll to clear a snorkelling channel on the island’s barrier reef has destroyed live corals, altered the current flow, and escalated the rate of erosion, divers say. It was approved by the tourism ministry after the resort’s proposal was twice rejected by the environment ministry. 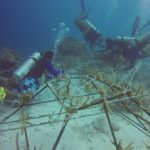 Excavation work carried out by LUX South Ari Atoll to clear a snorkelling channel on the resort’s barrier reef has destroyed protected corals and damaged the marine environment, the Divers Association of Maldives has claimed. 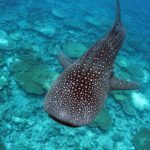 Expressing “grave concern” over the negative environmental impact in a statement yesterday, DAM said the use of machinery to clear the channel has destroyed corals and “a significant portion of the reef,” which is located in the South Ari Marine Protected Area, frequented by whale sharks. The luxury resort has since halted the excavation work. 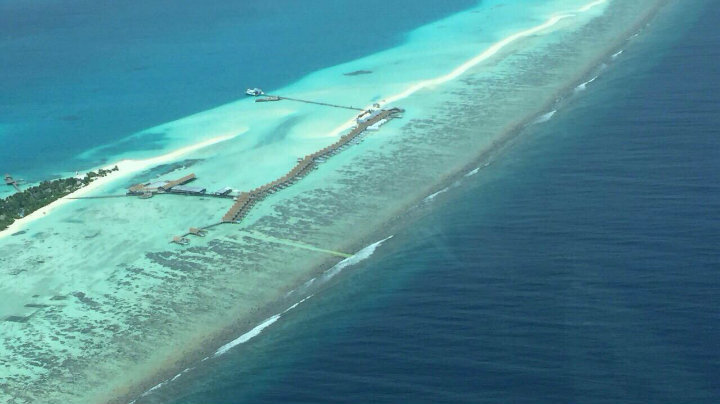 A PR official told The Maldives Independent today that the resort realised that “more intrusive work would be required to achieve a channel depth similar to the one indicated in the [Environment Impact Assessment]” conducted to secure approval from the government. DAM warned that the excavation work will alter the flow of current in the lagoon, increase the rate of erosion, and could also cause a decline in whale shark sightings. “Despite LUX having gained permission to excavate the channel from the tourism ministry (after the proposal being initially rejected twice by the environment ministry), DAM believes that to undertake such an enterprise in a marine protected area is both reckless and irresponsible,” the NGO said. The parliament in April had transferred powers from the Environment Protection Agency to the tourism ministry to evaluate environment impact assessments and authorise projects. 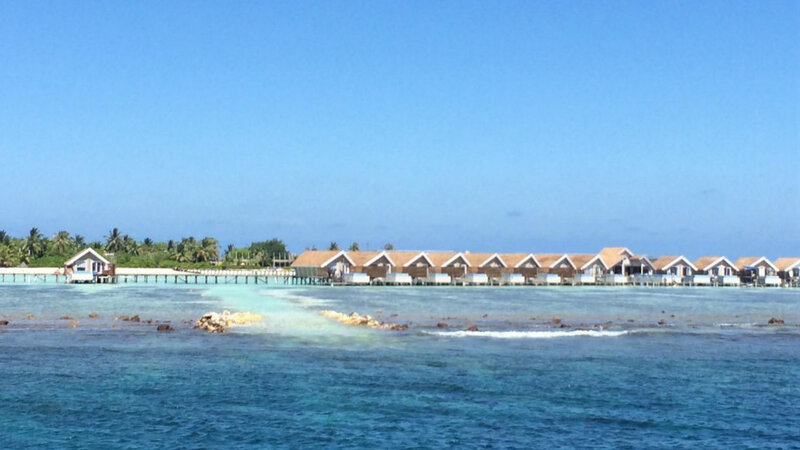 Resorts now have to seek authorisation from the ministry for any development that could “permanently alter” the island, plot of land, or lagoon’s environment. Both the EPA and environmental groups had opposed the changes at the time, warning that it would compromise the EIA process’s transparency and checks and balances and “pave the way for corruption”. 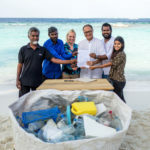 Deputy Tourism Minister Hussain Lirar told The Maldives Independent today that the ministry would not have approved a project that could damage the environment. He stressed that permission is only granted after evaluation by environmental specialists and EIA consultants. “The tourism ministry has not given permission to any environment-related work without approval from independent and licensed EIA consultants,” he said. While the environment ministry might have previously rejected proposals, Lirar said the tourism ministry also follows a similar process with evaluation by independent experts. 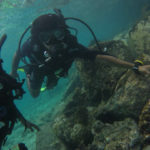 Dolores Semeraro, director of PR and communications at LUX, said: “Acknowledging the messages of concern recently shared on several social networks, the resort wishes to reassure that all activities occurred on the east reef of the island are being monitored by the ministry of environment and ministry of tourism. “Following the initial completion of an EIA and a project permit by the relevant authorities, the resort was enabled to proceed with the project of creating a snorkel access channel and a lifeguard platform for its guests. After having conducted the preliminary activities the resort noticed that more intrusive work would be required to achieve a channel depth similar to the one indicated in the EIA and decided to halt further work. 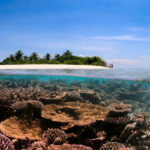 DAM had meanwhile said that other resorts in the area, safari vessels, and guesthouse dive operators are also concerned over the impact on the reef. “As the beach of the island is replenished using sand dredged from elsewhere, the silt being washed away from the beach with along with sediments from the lagoon is now washing out onto the outer reef,” DAM explained. The excavation work has also disturbed the stability of the reef, DAM continued, and rocks and corals taken from the channel will move back and forth over time due to surges and waves. DAM also expressed concern with the LUX excavation work setting a precedent for other resorts to clear channels to their outer reefs.